When I was in second grade, I got into big trouble at school. This was an anomaly for me—I was quiet in class and generally obeyed the rules. The only prior blot on my behavior record was in the first grade, when I got shushed by the teacher for talking to a friend during silent reading time. I dutifully returned to reading, but then I was ordered to sit in the corner when someone else made a noise and the teacher thought it was me. Unjust, but even teachers make mistakes. I had a good friend who lived in my neighborhood in elementary school. We played well together until we got a new girl in our class. Our classmate was someone we both wanted to befriend. The three of us were skipping rope on the playground, and it was my turn to jump while they turned the rope. At that age, I was one of the tallest kids in my class. I was so gangly, my mom bought me boys’ jeans to wear for the length and fit, because girls’ jeans were too short and slipped off my skinny frame. My friend was petite, and much more coordinated. She’d climb the jungle gym, sling a leg over a metal bar, and flip over and over. The best I could do was hang upside down by my knees and pray I didn’t land on my face. As I tried to jump rope, my feet got tangled and I stumbled, which meant I was out and had to let someone else take a turn jumping. It wasn’t the first time I’d failed at jumping rope (nor would it be the last), but this time my friend made fun of me to impress the new girl. That was when I made a mistake. I was angry and I didn’t think. I just acted. I kicked my friend in the shin. I was as surprised by this as everyone else, and as soon as I’d done it, I knew I had crossed a line. I felt horrible about it. Then, things got worse. My friend went and told the playground monitor. It was my terrible luck that the teacher’s aide on duty was the meanest monitor around. I remember her towering over me, shouting at me to go to the principal’s office. This was a nightmare. I’d gone from little Miss Goody-Two-Shoes to a hardened criminal because of one thoughtless act. The worst part was that in those days (ahem, thirty-something years ago), corporal punishment was permitted. Teachers were allowed to swat students on the bum. 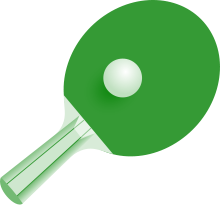 I knew that the principal had a big green ping pong paddle on her desk for just that purpose. It was a school legend. I also knew I had transgressed, so I lifted my chin and marched off to the principal’s office to take my punishment. Along the way, I thought about what I’d done and what my parents would think. I’d said sorry, but it wasn’t enough. Humbled, I reached the principal’s office and meekly asked her administrative assistant if the principal was in. The woman smiled and said no. In that instant, I realized this nice lady had no idea why I was there. The playground monitor hadn’t given me a behavior slip and was unlikely to follow up. I leapt at my chance for escape. I smiled and said, “That’s okay. Thank you.” Then I left. My rear end remained unpaddled. I got in a little trouble when I got home. My friend’s mother called my mom and told her what happened at school that day. I apologized, and the girl and I became friends again. Still, though I truly was sorry for what I did, I wasn’t sorry for cheating fate. This entry was posted on August 22, 2015 by Melissa Eskue Ousley. It was filed under Uncategorized and was tagged with character building experience, cheating fate, escape, flirting with death, paddle, trouble. Isn’t it amazing what things we remember? In first grade a Catholic boy walked me home from school. That night I asked my dad if a Lutheran could marry a Catholic. It is as clear to me today as it was more than fifty years ago. And then there is the book I read last week that I can’t remember a think about! Haha! So true. I have no idea what I ate for breakfast. You bad girl. lol Kids can be so mean, and when friends keep betraying you like that, it follows u for the rest of your life. Maybe your friend learned a good lesson through this as well. Perhaps. I know I learned something that day.